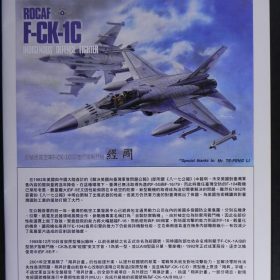 Anyone loosely familiar with contemporary military jets will quickly see F-16 lineage in the F-CK-1C Ching-kuo. That’s not the result of happenstance. 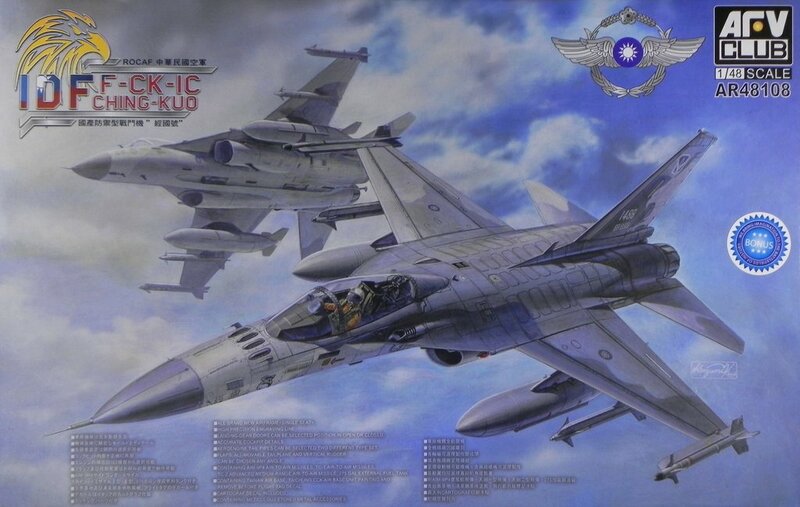 The Ching-kuo, commonly known as the IDF or Indigenous Defense Fighter, is a multi-role combat aircraft named after Chiang Ching-kuo, the late President of the Republic of China (Taiwan). The aircraft made its first flight in 1989 and entered service with the Republic of China Air Force (ROCAF) in 1997. A total of 130 aircraft were completed when production ceased in 1999. 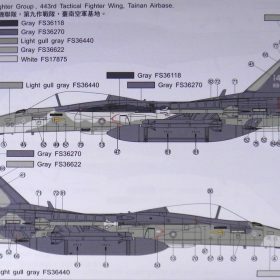 The IDF program was initiated in 1982 when the United States responded to diplomatic pressure from China and refused to sell the F-20 Tigershark and F-16 Fighting Falcon to Taiwan. The IDF was designed and built by the Aerospace Industrial Development Corporation (AIDC) based in Taichung, Taiwan. The AIDC worked with multiple US companies to design the Ching-Kuo including General Dynamics (general airframe design) and Garrett (propulsion). In addition, Smiths Industries, Lear Astronics, Litton, and Martin-Baker were also involved. 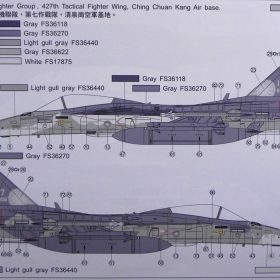 The Ching-kuo clearly shows it’s relation to the F-16 stable with regards to overall airframe layout. The airplane is inherently unstable in pitch and so utilizes a modern triple-redundant full authority fly-by-wire control system. The avionics suite incorporates the Honeywell H423 inertial navigation system and the Bendix-King head-up display. For on-board radar, the Ching-kuo is equipped with the GD-53 Golden Dragon multi-mode monopulse pulse-Doppler system, which is based on the same General Electric radar developed for the Northrop F-20. This system also shares components and technologies with the radar used in the F-16A. The system can simultaneously track 10 targets while engaging two. Powerplant: 2 × Honeywell/ITEC F125-70 Turbofan, delivering 6,100 lb thrust each: 9,500 lb each with afterburner. First impressions are definitely positive. This is a gorgeous kit. 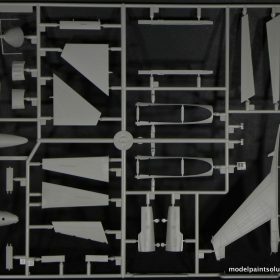 All the sprues come separately bagged as do the decals, PE fret, and if you’re lucky enough the get the “Bonus” release, a resin cruise missile! But I’m getting ahead of myself. The light grey plastic parts are beautifully molded with fine, scale-appropriate inscribed details and no flash. 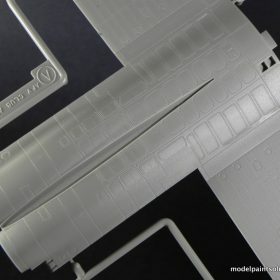 The inscribed panels and associated fasteners on both the dorsal and ventral areas of the fuselage are particularly well done. 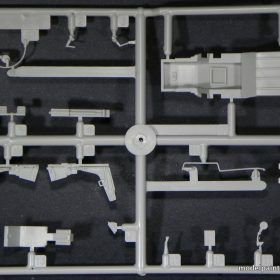 All the parts feature small sprue gates facilitating easy removal. 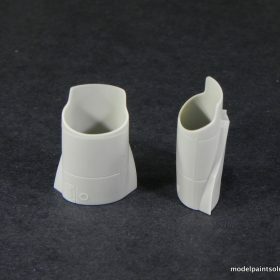 The nicely molded single-piece engine intakes (the result of slide molding) will allow for a seem-free assembly: a very welcome feature indeed. The canopy is crystal clear with a small seem running down the center that will have to be carefully removed. 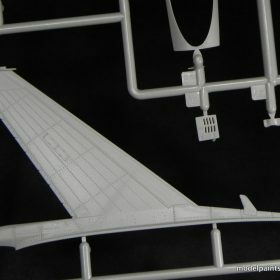 In addition multiple small sprue gates running a long the base of the canopy piece will require removal for use. 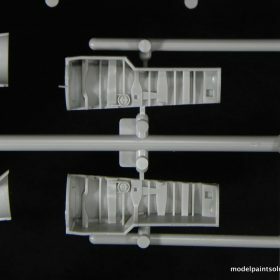 These are positioned on the portion of the canopy piece that will be painted (not clear) making clean up easier. Construction is conventional and starts with the pilot’s office, which features nicely detailed individual instrument side panels. 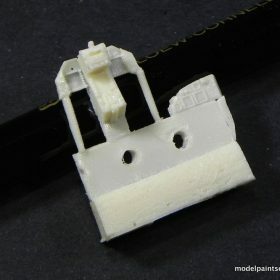 A detailed painting guide that includes drawings of the side panels is provided in the instructions: very nice. 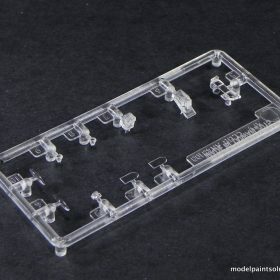 With the main instrument panel you have the option of using parts made of clear plastic or a resin replacement. 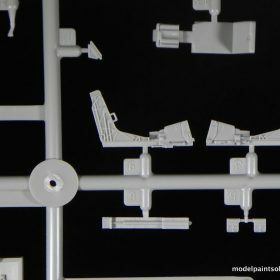 The 5-piece seat is nicely detailed although no belts are provided. The assembled cockpit is captured between left and right front fuselage halves producing the nose assembly. The center section or main body of the fuselage/wings is comprised of upper and lower halves. Assembly begins with the placement of nicely detailed wheel wells, engines, and intake trunk sub-assemblies. 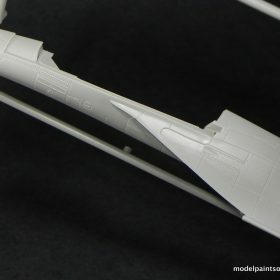 The single-piece engine exhausts are nicely detailed and will look great with appropriate painting and detailing. 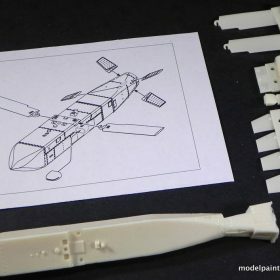 Once the top and bottom fuselage halves are joined, the addition of separate (and appropriately thin) wing leading and trailing edge parts and stabilators completes the assembly. As a long-time aircraft modeler, I greatly appreciate scale appropriate wing leading and trailing edges and these are beautiful. 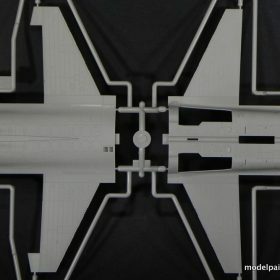 To complete the airframe, the center section is joined to the front fuselage assembly, the vertical stabilizer is added and you’re done. 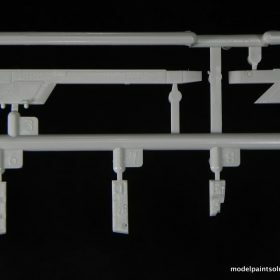 Of note are replacement canopy hinge parts made of resin allowing for the canopy to be finished open or closed: nice. This appears to be a well-designed and very straightforward build. To outfit your Ching-kuo, the kit provides 2 275 gallon drop tanks, 2 AIM-9P Sidewinders, 2 Sky Sword I missiles, and 2 Sky Sword II missiles. 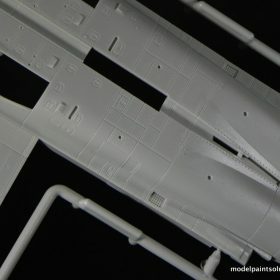 All the missiles are nicely detailed with no flash. 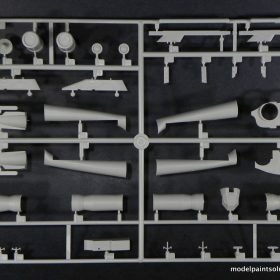 Detailed painting instructions and multiple decals are provided for each missile type. 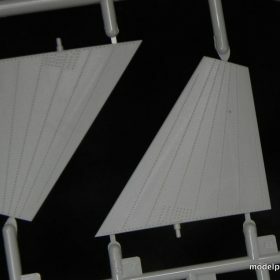 All the wing pylons are nicely molded with detailed anti-sway braces that will look great when assembled. 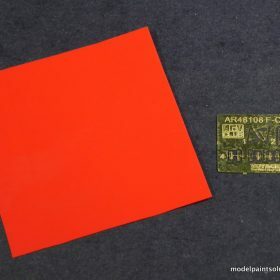 A novel inclusion to the standard kit is a piece of thin red material to be used in making “Remove Before Flight” (RBF) flags. The instructions suggest that thin, scale-appropriate strips (flags) should be cut from this material. The appropriate warnings for the RBF flags are provided as decals. 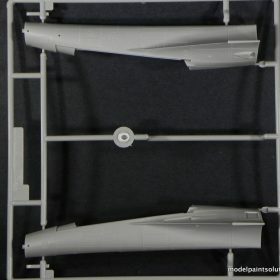 In addition, detailed instructions for the placement of the RBF flags on the model are provided in the instructions. 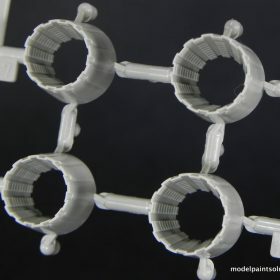 This is a nice addition that will really dress up the completed kit. The decals are by AFV Club and are in perfect register with appropriate color intensities. Multiple versions of the Ching-kuo Falcon are provided in grey tones and white and all are beautifully printed. Markings are provided for four aircraft all in the distinctive 4-tone scheme used by ROCAF. 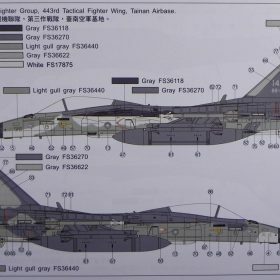 A) 3rd Tactical Fighter Group, 443rd Tactical Fighter Wing, Tainan Airbase. 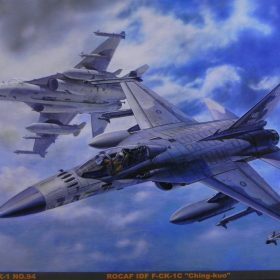 B) 7th Tactical Fighter Group, 427th Tactical Fighter Wing, Ching Chuan Kang Air Base. C) 7th Tactical Fighter Group, 427th Tactical Fighter Wing, Ching Chuan Kang Air Base. 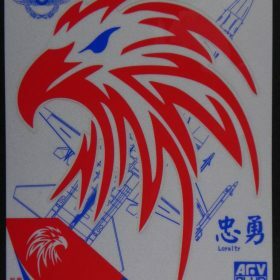 D) 9th Tactical Fighter Group, 443rd Tactical Fighter Wing, Tainan Airbase. The Bonus boxing takes an already good kit and adds some very nice (and novel) details. 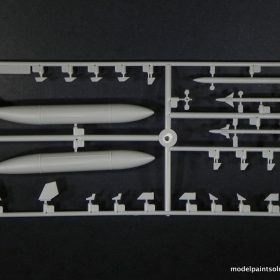 The most impressive is the detailed “Joint Air-to-Surface Anti-Runway Cluster-Munition Cruise Missile” that is beautifully cast in cream-colored resin. The instructions indicate the Ching-kuo is capable of carrying two of these missiles. 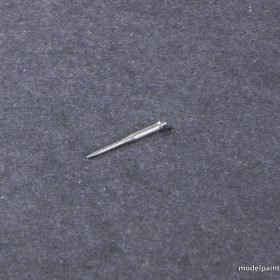 In addition, a nicely turned metal replacement pitot is provided along with a square of clear prismatic plastic to be used for making the glass parts of the HUD. 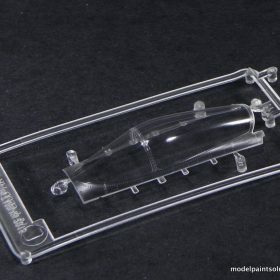 This is a neat addition to the kit and will capture the prismatic look of real HUD glass. 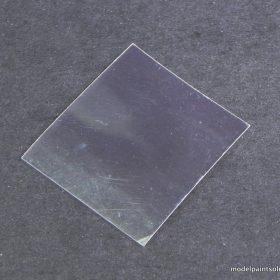 Moreover, the piece of prismatic plastic is large enough to make multiple (6-8?) HUD pieces so you’ll have some for the spares box. Lastly, a very nice framable print of the box art is provided along with a decorative Ching-kuo sticker. This is a beautiful kit. The inscribed details are crisp and scale appropriate and the kit’s design suggests a straightforward building experience. With over 200 parts, this is not going to be a weekend build but I don’t see any nasty surprises waiting to snag you up. Highly Recommended! If you’d like to see a progressive build of the AFV Ching-kuo, post a comment. Sample compliments of AFV Club.